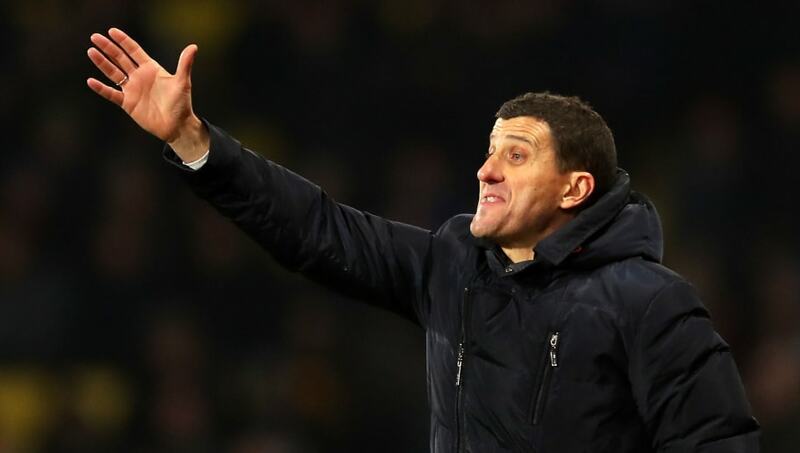 Javi Gracia insisted Abdoulaye Doucoure's absence as Watford were held to a 0-0 draw by Burnley at Vicarage Road was due to injury. After a bright start from the Hornets, it was the visitors who soon found their feet and took control of the play with Ashley Barnes squandering three golden opportunities to put his side ahead in the first half. The second half followed a similar pattern with ​Burnley dominating the play and creating the better chances, however the game soon filtered out with neither side threatening towards the end as it finished ​0-0. A key talking point prior to kick off was the absence of Doucoure from the ​Watford matchday squad, with the midfielder recently being linked with a move away from the club. However speaking with ​Sky Sports after the game, Gracia insisted the Frenchman missed out due to injury and nothing else. He said: "No doubt about that. "He felt something in the last training session and he wasn't available, but I'm sure in two or three days he will be ready." It was an underwhelming performance from the Hornets, who heading into the game were unbeaten in their last four games in all competitions, however Gracia still looked to take the positives from the game. He added: "Maybe today we didn't play our best game but there are many positives today. We defended well against set pieces against a very strong team. Physically we did well. We try to do better next time. "We knew it would be a very demanding game and it was. We started well, created the first clear-cut chance but didn't take it and after that the game was very close with a lot of challenges for second balls. "When you can't win one point is positive." His side managed to salvage a point from what was a very lacklustre game, however Gracia will be hoping for a much improved performance from his side when they travel to St James' Park to face Newcastle in the FA Cup on Saturday afternoon.